Ali was very friendly and always made me feel at ease during my appointments with him. I was excited every time I had an appointment to see the progress my teeth were making and how the positioning of my teeth kept on changing. My teeth were a bit of a challenge at some points as they weren’t moving according to plan (which couldn’t really be helped) but Ali always kept me in the loop and never pretended the progress was further on than it really was. I really trusted his judgement and when your teeth are as good as his it’s hard not to like him. I never used to smile with my teeth and now I have a lot more confidence all thanks to Ali! 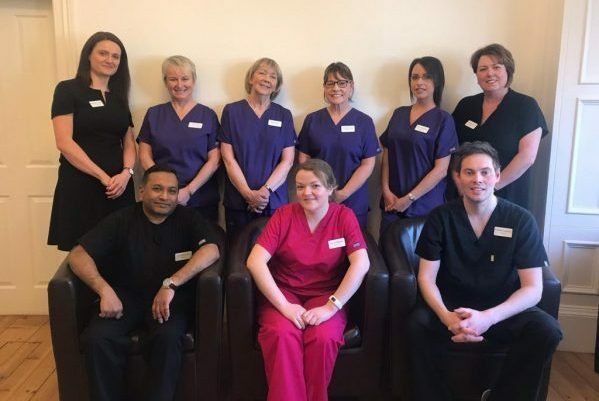 At my first consultation I was given in detail three options of treatment which was discussed with me in clear and concise detail by Dr Alisdair Colquhoun. After deciding to have six front teeth fillings realigned with replacement fillings, my treatment was performed pain-free in a most friendly and professional manner. I felt completely relaxed throughout the whole procedure due to the care taken. This has made me happy and can smile again with confidence. I would 100% recommend anyone to get the 6 month smile brace. I couldn’t believe how quickly my teeth straightened in such a small time frame. The whole 6 month process was so simple and pain free and any check up I had scheduled in, Alisdair would always update me on my progress, which was amazing to see. Over two years have passed and my teeth are still very straight, I am so happy I went for it and would recommend to anyone! For many years I would cover my mouth as I was embarrassed about my teeth. 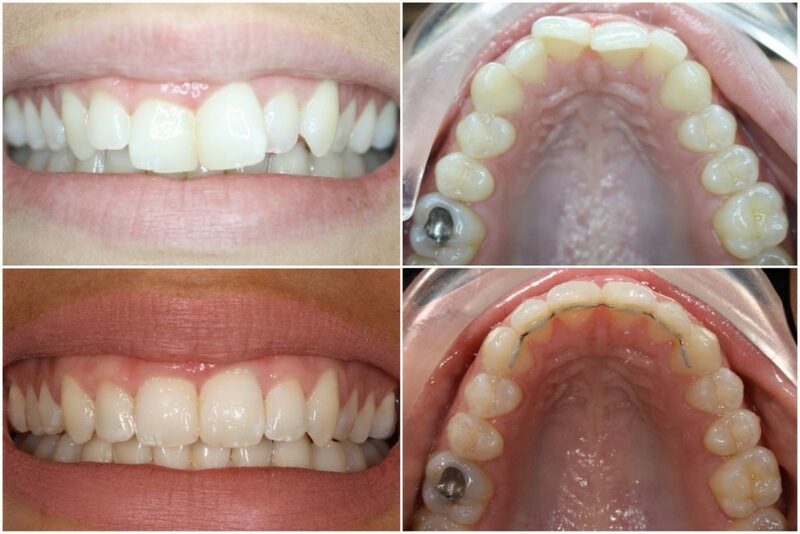 I spoke with Alistair, who was very knowledgeable and gave me confidence from the first consultation. 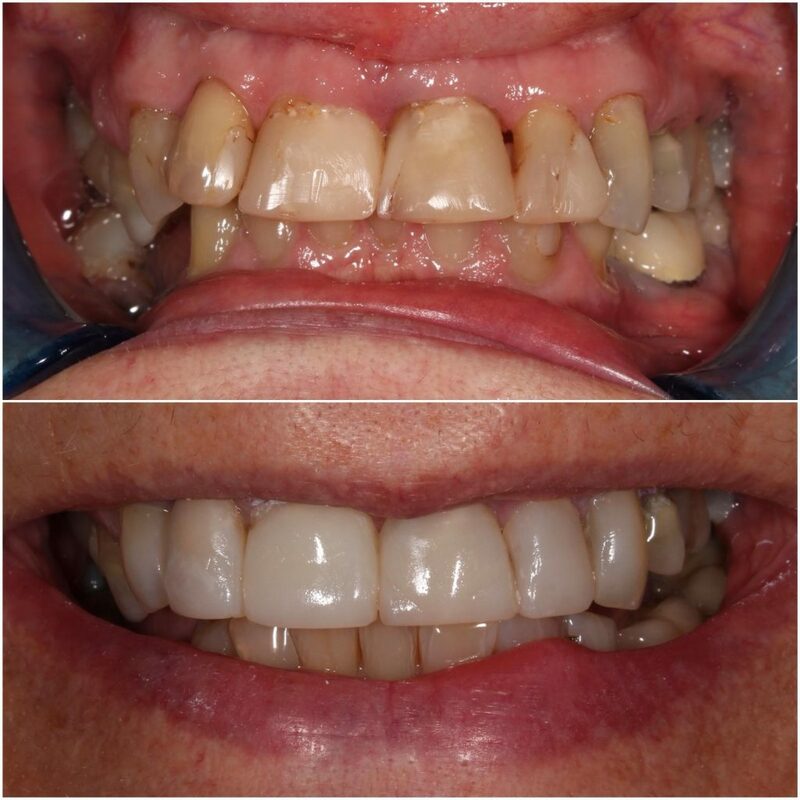 The treatment plan involved significant work on my front teeth and was completely pain-free, I couldn’t believe it! I felt so relaxed I almost feel asleep during treatment. Alistair is a very accomplished dentist with a very gentle approach and was incredibly supportive throughout, and with follow up consultations. The whole team give a warm reception and make you feel at home. Although I initially made the decision to have my smile repaired for personal reasons, but I underestimated the positive impact this would also have professionally, giving my confidence a big boost. For as long as I can remember my front teeth bothered me and so in 2017 I decided to explore my options for correcting my teeth and was recommended Aly by a work colleague. I was really impressed with her before and after photos and booked an appointment. After a consultation and x-rays I was found to be a suitable candidate for the treatment. Upon starting the treatment Aly advised for best results my brace would be on for 6 ½ – 8 months but I was lucky and my treatment was complete within 5 months. At my first appointment, small clear brackets were added to the teeth and a wire, which adjusts the teeth to where they need to be. It was painless and I only experienced some slight discomfort over the few days that followed. Each appointment Aly gave me tips about how to keep my teeth and gums clean while wearing the brace as well as explaining what the next stage of treatment would achieve. When you have the brace on you almost forget you are wearing it, it really does become an everyday part of your life so photos at each stage of the treatment really helped to see the progress I was making. When I had my brace removed, I couldn’t believe the difference and I have an even bigger appreciation for my teeth now that I have the smile I always wanted. I couldn’t have chosen a more thorough and dedicated dentist who is as delighted with the outcome as you are. My only regret is that I didn’t do it sooner! 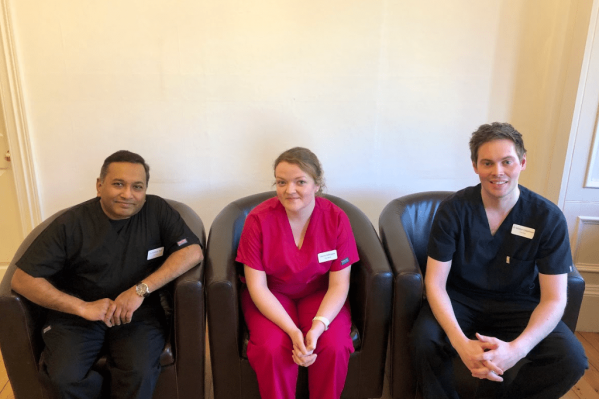 As a new patient to Dentistry@No3, I was immediately put as ease by Alisdair who took the time to explain what was happening and to offer me a range of treatment options. 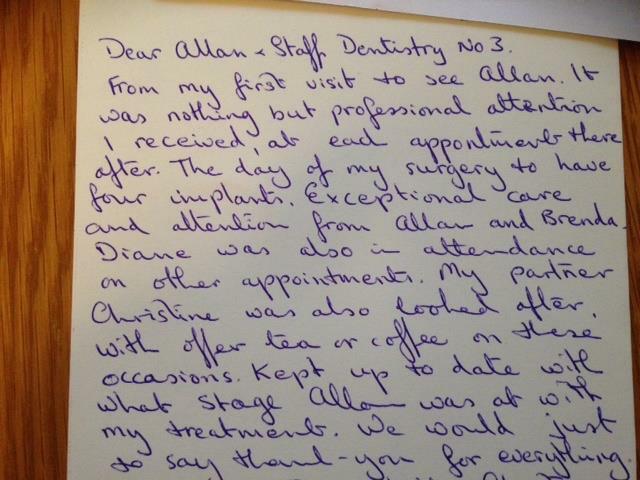 I would recommend Alisdair, especially if like me, you are anxious about your dental appointment as I was impressed with both his professionalism and his reassuring approach. I broke my front teeth when I was young and over the years have had lots of work done to them. I was recommended to go to Alisdair who replaced my crowns. 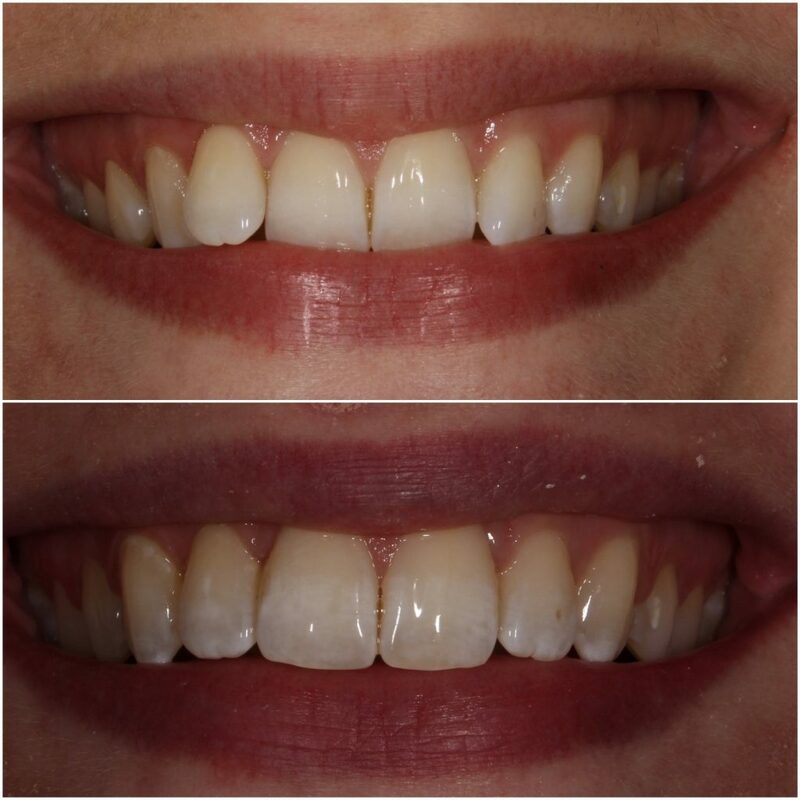 What a fantastic and natural result! I have been given back my smile! His attention to every fine detail was great and his caring attitude made me so relaxed. “Thank you for everything, especially my smile” Mrs Nicola A. “There was no judgement of my situation, only an interest and indeed a passion to help me achieve a smile I was happy with. The feeling of confidence and happiness with my treatment is not quantifiable in financial terms” Mr James McM. “You certainly treat people not just teeth” Sarah M.
“Anxious feelings are not something I associate with my dental appointments” Jill D.